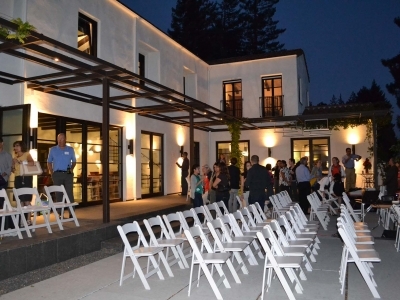 Houses of the Spanish Colonial Revival style have their antecedents in temperate climates like Palo Alto’s. 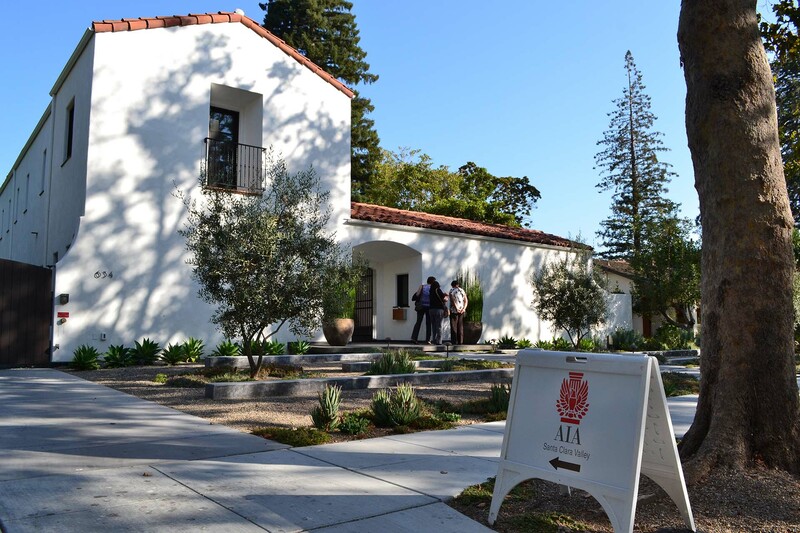 With it’s thin massing and stucco walls with deep set openings, the Lowell house utilizes the style’s more austere exterior characteristics to drive the owner’s energy and design goals and frame their more modern interior design aesthetic. 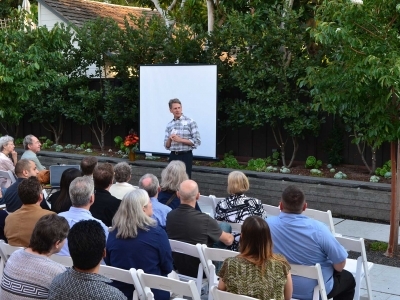 The homeowners actively monitor their water, energy and phantom load consumption to frequently tune their use of the house. 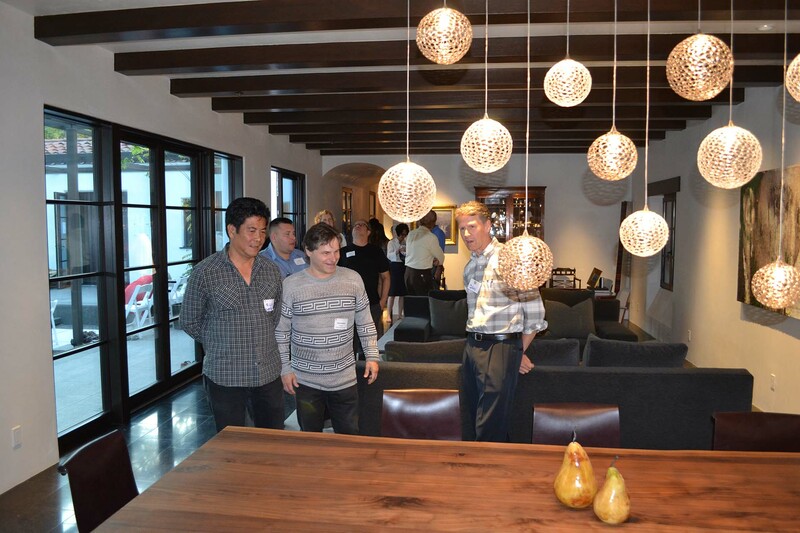 SiteSage monitors electricity use by circuit, PV production, net consumption, etc. 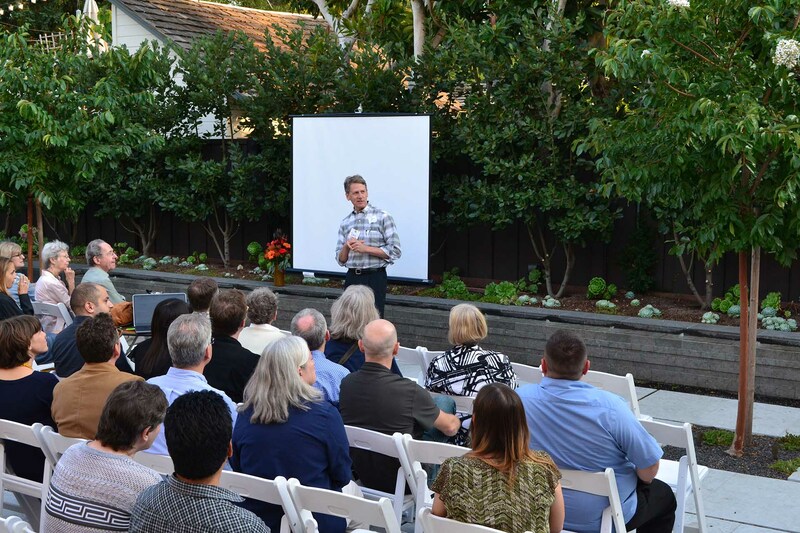 Daniel Garber, FAIA, partner at Fergus Garber Young Architects. 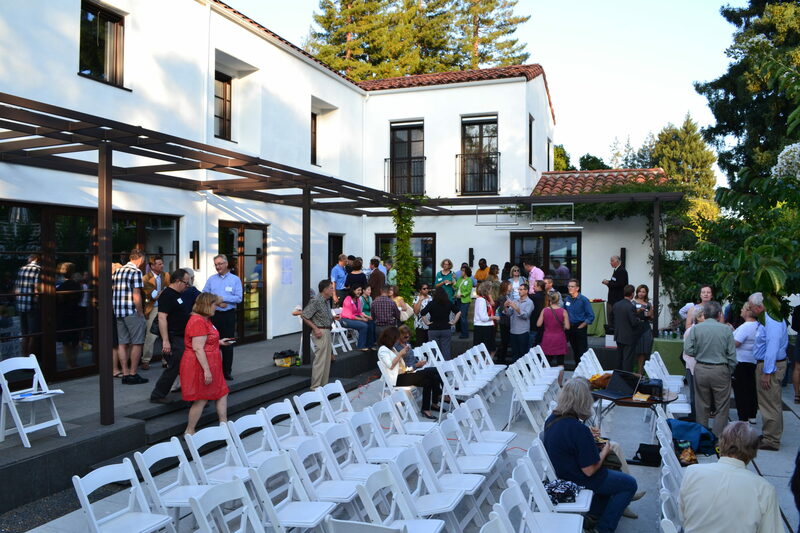 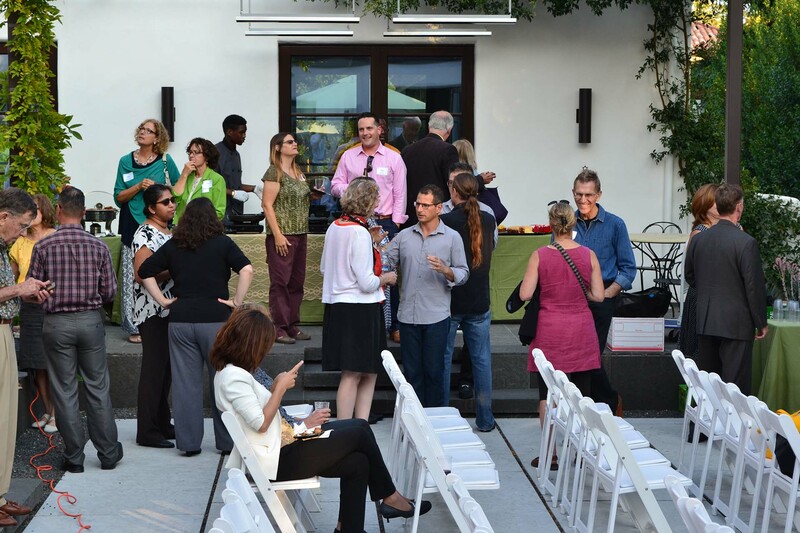 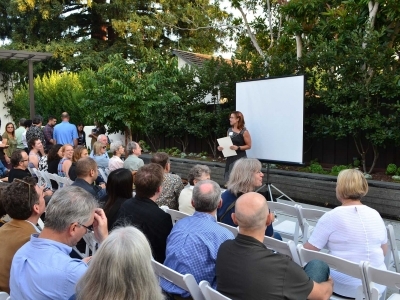 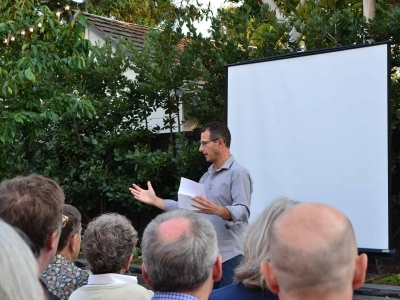 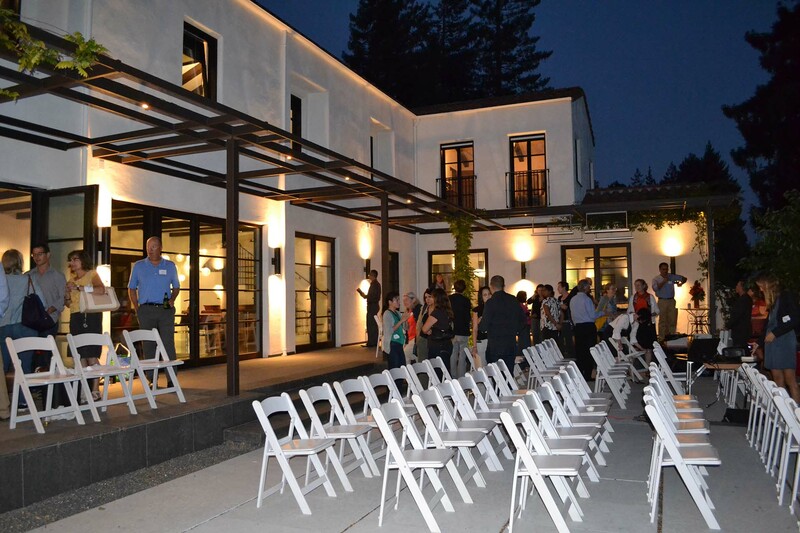 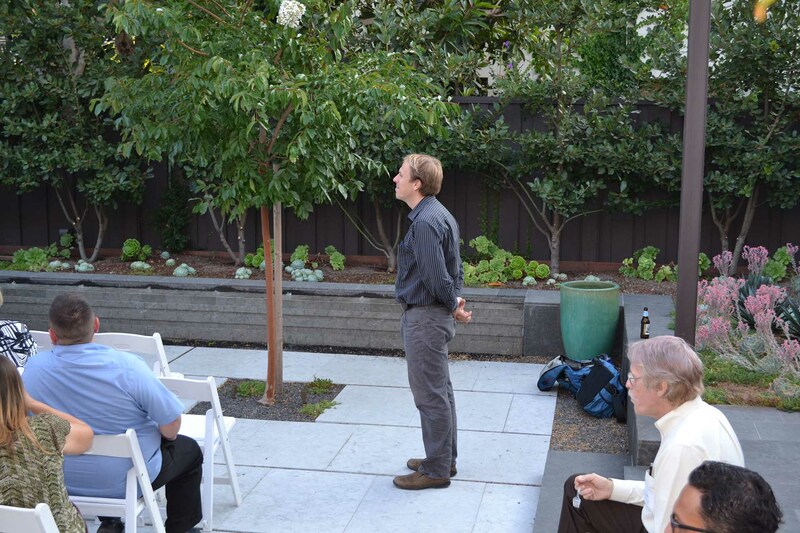 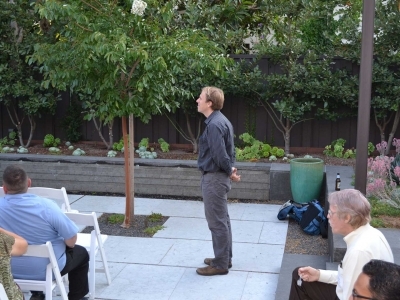 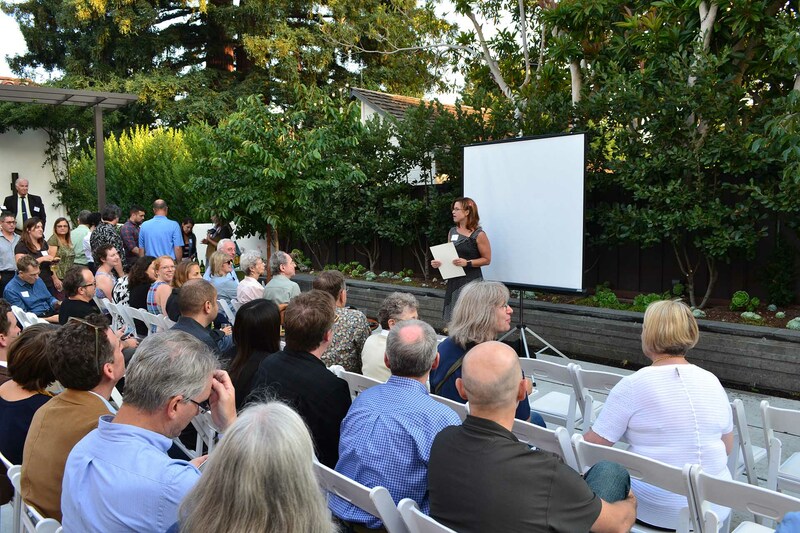 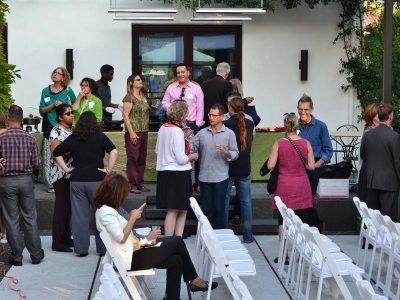 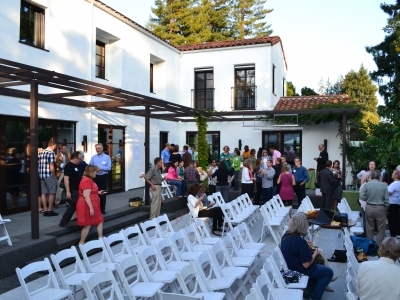 Chris Hyder – Smith Hyder Inc.
MESSANA Radiant Cooling was a proud sponsor of this successful event organized by the AIA Santa Clara Valley on August 20th, 2015. 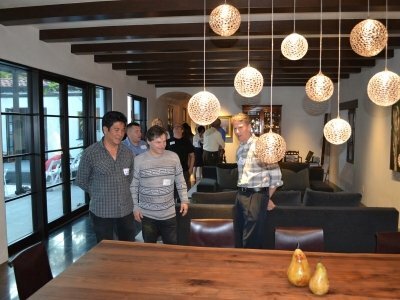 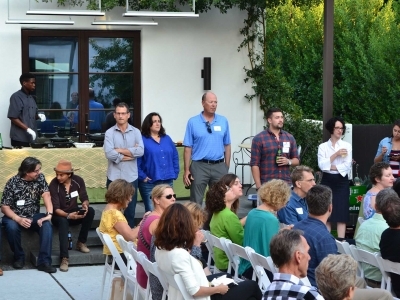 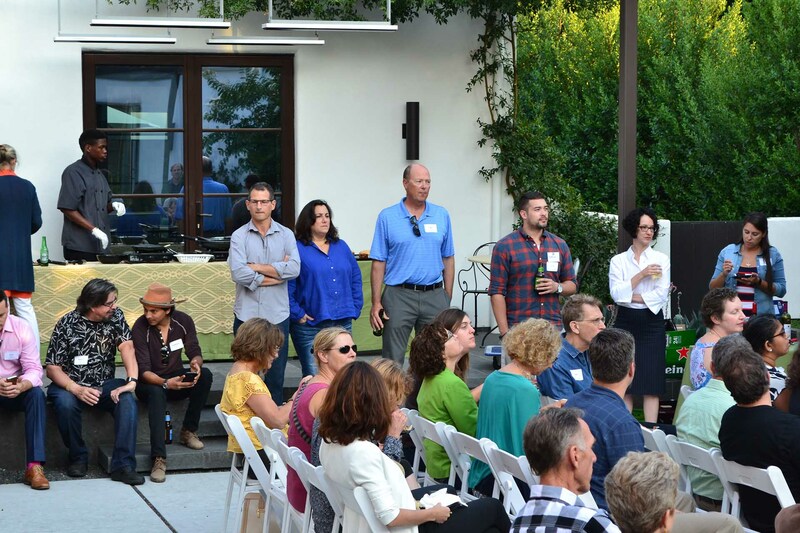 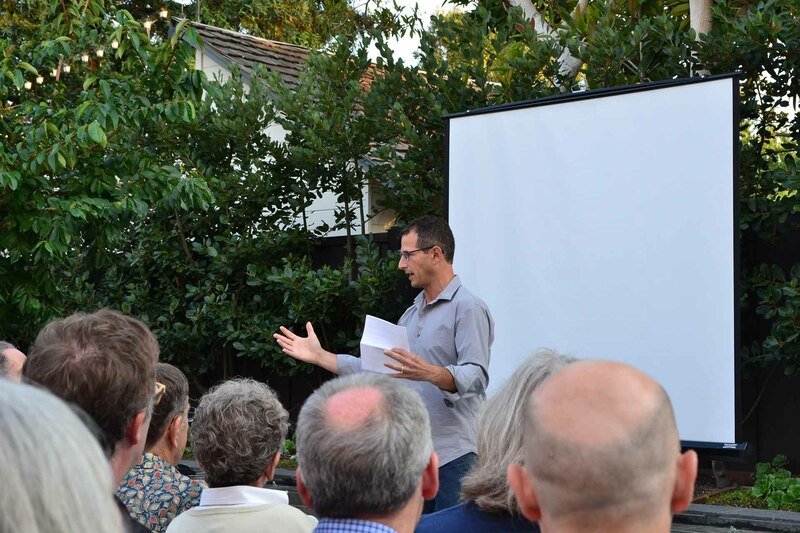 A special Thank You to all participants, AIA Santa Carla Valley, Fergus Garber Young Architects and Stuart Bernstein to host this interesting home tour in his beautiful high-tech house!